I have seen the future. Football’s future. It’s both exciting and tragic. Amidst the reliance on strength, pace and fitness, players have taken centre stage like never before. Long gone is the cameraman walking along the two lines of players prior to Champions League fixtures; instead, the captain takes his smartphone along the line for selfies with each player. On YouTube, eager fans tune in. The game is a world away from what we know today. But there’s one face I can’t help but recognise. I can’t remember where from – my memory is giving way – but the beard is a sure giveaway. After searching Wikipedia, which has finally incorporated ads after Apple launched its own online encyclopaedia, I remember this man. It’s André Villas-Boas. 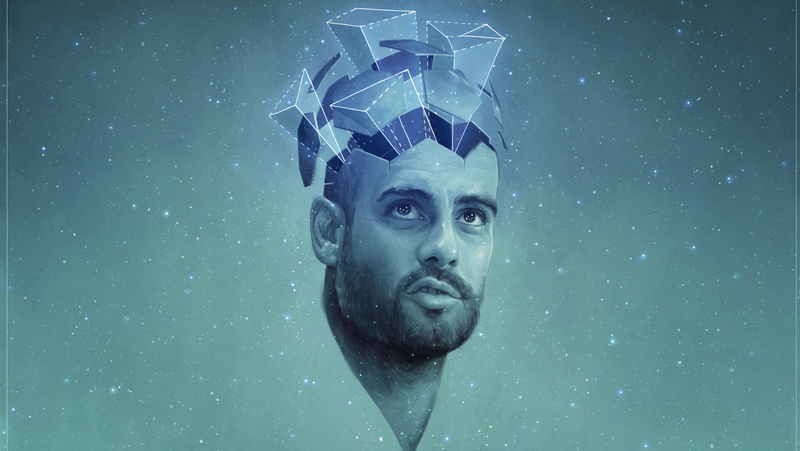 The Portuguese “boy genius” as Gabriele Marcotti called him in 2010. He’s just been sacked by Sampdoria, failing to guide the club into Europe’s fourth tier of competition for a second consecutive season. The story is all-too familiar according to Wiki. He’s taken over at a club, brought promise and hope as the “new Mourinho”, but left a while later with the club in virtually the same position. “I need more time,” he pleads outside the training ground. He must know he won’t be given time at the highest level – that results are the barometer of success. He would see Bobby Robson every day. As the charming Englishman would make his way up the stairs to his apartment, passing the young Villas-Boas playing football with his friends, he’d give him a nod. A nod to the mature, handsome young man. The year was 1994 and Bobby Robson was Porto manager. Having left bitter rivals Sporting to take the job in Portugal’s second city, the task at hand was mammoth. Crowds were dwindling and success on the pitch was the only way to bring the fans back through the turnstiles. It was in Porto that Robson would encounter a shy but edgy young man by the name of André-Villas Boas. A Porto fan, he had his own choice words for Robson when they met for the first time in the courtyard of the apartment building where AVB lived with his parents. He knew what needed to be done at the club, and he told Robson. The overlap in their respective theories startled the former England boss. His knowledge of the club, its players and opponents up and down the peninsula was unlike anything Robson had heard from someone of 17. It’s hard to imagine many managers reacting the same way as the Englishman. Instead of taking it on the chin as another manager who thinks they know it all, Robson instead offered the young Portuguese an opportunity to do some analysis work for the club and take his first UEFA coaching license in Scotland. The club paid for the course, and they retained the services of Villas-Boas soon after. Villas-Boas was now an analyst at Porto. It was sheer luck that he had been living in the same complex as the new Porto manager. It was equally lucky that his ideas were transcribed to a man as open, intelligent and affable as Robson. That Villas-Boas spoke fluent English probably helped. He would post letters under the door of Robson’s apartment, explaining how he would line up against the upcoming opposition, whilst rating the performances of the club’s stars. After appointing the teenager in the analysis team, Robson quickly introduced him to his assistant manager and translator, José Mourinho. Mourinho was a rising star in Portuguese coaching, masterminding new methods to get the most out of players, focusing on man-management and psychology. His job was to improve team shape on the training pitch and improve the confidence of the club’s ailing stars off it. Mourinho and Villas-Boas quickly struck up a friendship, with the former taking his young compatriot under his wing. Mourinho saw his capacity to analyse and evaluate the game. He saw promise in a young man who was shy away from the field but entirely confident in his own philosophy. In many ways, the man fourteen years his junior reminded Mourinho of himself at that age. Robson, flanked by Mourinho and aided by Villas-Boas, would guide the club to the league title in 1995 and 1996, before leaving for the bright lights of Catalonia. Through sheer chance – and a healthy dosage of intriguing theories – André Villas-Boas was now a full-time employee at Porto. Like so many others over the past five decades, he had an Englishman like no other to thank for his ascent. Highly regarded at Porto, with his reputation rising as one of the youngest coaches and analysts at the highest level of the game, Villas-Boas would soon be receiving offers to take positions elsewhere. He remained at Porto until 1999 when the chance to become manager of the British Virgin Islands was presented. Still only 21, it was a role he couldn’t refuse. Though his work with the tiny Caribbean nation wasn’t reflected in the form of results, he changed the ideas behind football development on the island. He helped introduce advanced training methods for the national teams and in schools. His role doubled up as Director of Football on the tiny island. After improving training methods, Villas-Boas eventually left in 2001 to return to Porto as under-19 coach, and later worked as Mourinho’s assistant at Chelsea and Inter Milan. His relationship with his countryman served as the building block for his development as a coach, and set him on the path to management. Schooling him on and off the pitch, Mourinho’s influence was as important as George Burley – when Villas-Boas conducted his coaching licenses in Scotland – and Bobby Robson’s. Having finally completed his coaching badges in 2009, SC Braga came calling for Villas-Boas. They wanted the 32-year-old to succeed Jorge Jesus, who was bound for Benfica. AVB would inform Mourinho of his desire to take the Braga job – he had always been open about his interest in management – and was interviewed. As it was, Domingos Paciência, a man Villas-Boas used to fervently defend when Robson was in charge at Porto and Paciência was merely a player, landed the role. With his tail between his legs, AVB trudged back to San Siro. Mourinho, acutely aware of his friend and compatriot’s desire to leave Inter, scaled down Villas-Boas’s responsibilities. Where his young friend had wanted to take greater control during training, Mourinho wanted him out. It was here that the first signs of a sour relationship would develop. In the end, when Académica de Coimbra approached Villas-Boas in 2009, Mourinho, with José Morais lined up as a replacement in the scouting department, gave AVB his blessing. He was free to move on. The sour seeds had been planted, however, and their relationship would never be the same again. Taking over in October 2009, Villas-Boas inherited a team sat rooted to the basement of the Primeira Liga. His target was clear: keep them in the top flight. In a season of entertaining football, inventive coaching methods and some upsets along the way, the club pushed on and finished an unlikely 11th. Going all the way to the Taça de Portugal semi-finals was an impressive achievement for a squad now full of confidence. Villas-Boas had spent days analysing his opposition, utilising all his skills gathered from a short but fruitful career in the game to improve results. 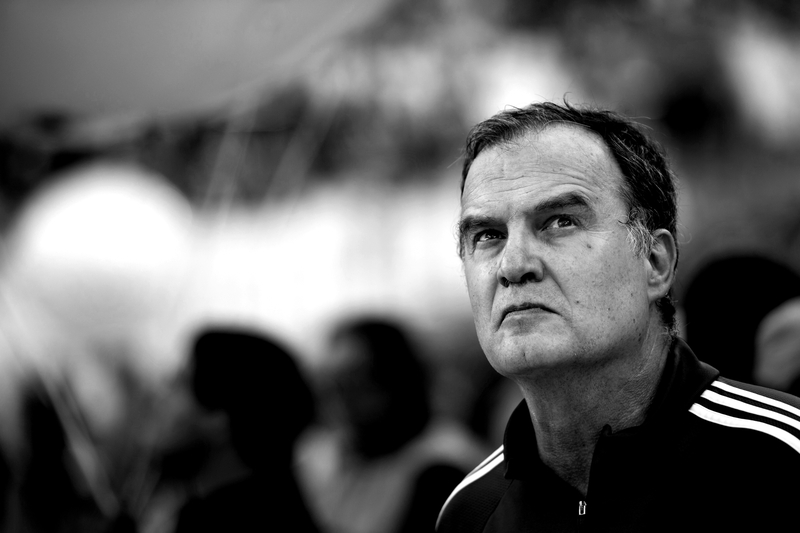 He would meticulously study opposing players, increasing the number of scouts and analysts at the club along the way. He worked on the psychology of avoiding relegation, training the mental capacity of his players to deal with setbacks and criticism. In the end, he took an average squad and convinced it that it was good enough to stay in the top flight. It was a fine achievement for a man who got to work on day one with the intention of producing entertaining football and results. There was no call for time; he knew it was in short supply. It was day one in his managerial career. With Sporting CP hovering around the young star, Porto quickly made their move. Their prodigal son – part two – was returning to the Estádio do Dragão. The most promising young manager in Europe would be coming home to the club where it all began. He’d already been part of winning teams, quietly executing his analysis role in the background while the players and managers took the plaudits. Now it was his time to shine. It was a moment of fleeting praise for the man who had taken AVB with him to Porto, Chelsea and Inter. It was heady praise for Mourinho’s bitter rival, Guardiola. To this day, Mourinho and Villas-Boas vie for the title of Robson’s number one student. After guiding the club to the historic quadruple, playing with less flair than Académica, but with just as much purpose, the rising star of the management world was offered the chance to follow in the footsteps of his old friend. Chelsea and Roman Abramovich came knocking. Their idea was simple: let history repeat itself. History would not repeat itself, however. Chelsea still resembled Mourinho’s Blues. The key men of Mourinho’s reign, Terry, Lampard and Drogba, though older and perhaps a little slower, were still important figures in the club’s march. For Villas-Boas, by now desperately tired of the comparisons to his old friend, the time had come for change. He was the “mini Mourinho” at Porto, Chelsea and Inter. He was the “new Mourinho” during his time as Porto manager, and he was exactly the same at Chelsea. For AVB, it was time to forge his own legacy. It’s difficult to know whether more time in charge of the club would’ve given him a greater chance to succeed, but the 4-3-3 that he deployed during his time at Stamford Bridge bore little resemblance to the fluid system he implemented at Porto. The team was naive, defensive and nervy. They never looked settled. Villas-Boas, who had cost the club a reported £13.3 million to bring over from Portugal, was a man under pressure from day one. The “new Mourinho” was nothing if not bold. Dropping the likes of Terry and Lampard, the club’s most consistent players of the previous decade, was a bizarre decision. When a manager is under pressure and looking to establish trust with the fans, benching those very fans’ idols is not the solution. Alienating the club’s most important, home-grown duo was idiotic at best. Villas-Boas looked out of his depth. Behind the scenes there was unrest. Unlike his senior countryman and now well-known rival, AVB was unable to control the egos of his top stars. A bitter meeting, called after Villas-Boas cancelled a scheduled day off for the players, was attended by Abramovich. Incensed by the training routine – which was often two hours long and focusing on shape for much of it – senior players took the chance to vent their frustration with the owner in company. It was the ultimate display of defiance from a squad that had expected so much more. Time was running out for Villas-Boas, who persisted in his slow tempo, artless tactics. For someone who had spent considerable time in the Premier League, his failure to grow into his role was a telling sign that he was out of his depth. Players were unhappy, fans were bored of the football on show and there was no remedy in sight. A hero in Porto, he was no longer the “Portuguese boy genius”. By March, eight months after he had joined the club and £375,000 per game (including the compensation fee) later, Villas-Boas was sacked. Roberto Di Matteo came in, restored the fun factor at the Bridge and reinstated his most senior players to the team. One of the most bizarre, unsuccessful stints in charge of a big club in Premier League history was over. As Villas-Boas left Stamford Bridge, some fans continued to tow the party line that he needed more time. He didn’t need more time; he needed a whole different managerial guide. Tactically the team was regressive, players were unhappy and the owner was unsure of his increasingly bitter press conferences. Though Villas-Boas left Chelsea with his reputation wounded, not destroyed, he knew his next role would have to be a defining career move. Following Harry Redknapp’s departure from Tottenham Hotspur, the club swiftly moved to secure the services of AVB. He had only been out of the game for four months, but was “rejuvenated and ready for the challenge”. A promising first season saw Villas-Boas take the game of Gareth Bale to new heights. He was no longer restricted to the wing; instead, AVB gave him the freedom to roam around, track back far less and play to his own tempo. This was Bale’s season, and he helped Villas-Boas reinvent his image as a free-flowing attacking manager again. It was an impressive season for the North Londoners as they finished just a point behind Arsenal in fifth, narrowly missing out on Champions League football but securing Europa League qualification. Despite wanting a return to the big lights, Spurs’ fans were content, despite missing out by a point to their most bitter rivals. The team was playing neat football in attack. What the fifth place finish masked well was the heavy impact of Bale. Accounting for 33 percent of the team’s goals in the Premier League, he was often found carrying the side and carving out winners from distance. A third of the goals came from Bale, but an even higher percentage of winners and key passes came from their Welshman. It was inspired play from the former Southampton man, who was often carrying the team in attack. Villas-Boas had become heavily dependent on his star man coming up with the goods. Defensively performances were poor. While at Chelsea he had looked to create a resolute, hard to break down unit, at Tottenham he wanted goals and flair. It came at the expense of the back line, which was ultimately the reason the club missed out on the Champions League. AVB was unable, like his stint in West London, to balance the team on match day. Were his training methods at fault? It’s hard to define what the issue was but there’s no doubt that Spurs’ defence proved costly that season. There was only so much Bale could do. Following a world-record move to Real Madrid, AVB was left with the quandry of how to replace his talisman. They were guaranteed 20 fewer goals next season unless he could be replaced. The answer was a splurge on respected talent from the continent. In came Étienne Capoue, Paulinho, Roberto Soldado, Nacer Chadli, Vlad Chiricheș, Erik Lamela, and playmaker Christian Eriksen. To gel such a team required time, but finishing a solitary point off Arsenal meant the fans would obviously expect to be challenging for fourth again. Villas-Boas’s biggest mistake at Tottenham was his failure to negate the impact of Bale’s departure. Real Madrid had spent 18 months pursuing the winger; Tottenham knew he was likely to leave. To then replace him with Lamela, in and out of the team at Roma, Nacer Chadli, effective but a wholly different type of player, and Christian Eriksen, not capable of Bale’s goals, was odd. Roberto Soldado came in with a glowing reputation but Spurs’ style was never going to be conducive to an in-the-box predator. Whether Villas-Boas was solely responsible for these transfer or not is something nobody can answer with certainty, but his inability to foresee the gaping hole that Bale would leave raised question marks. Brendan Rodgers suffered an identical issue after failing to adequately replace Luis Suárez. And so, like most of the football world predicted, Tottenham failed to gel and missed the goals of Bale. Despite impressing in the Europa League, heavy defeats to Manchester City and Liverpool put Villas-Boas on the back foot. Increasingly short in his interviews, it was clear that the pressure was beginning to tell. The defence had not improved on the season before – if anything, it had regressed – and the team was struggling in attack without a focal point. Unsurprisingly, AVB has subsequently said he needed more time. For football’s most in-tune young manager, it’s a strange request. He was there when Mourinho was sacked by Chelsea. He knew from his time at the Bridge as manager that results are sacred. You live and die by them. At a club like Tottenham it’s much the same. And so, with limited long-term development in the academy, mixed results with the first team and a poor transfer policy, Villas-Boas was sacked from his second job in English football in the space of 20 months. The most promising manager in Europe was unravelling before our very eyes. Naive tactically, equally so in the transfer market, and moving further and further away from his once-likeable personality, André Villas-Boas left English shores with a reputation battered and two failed managerial stints. His voice was crockier than ever; his hair and beard looking less hipster and more grubby. Redemption was to come, however, in the unlikely form of Russian giants Zenit Saint Petersburg. Only success would do. With his reputation taking a battering at Chelsea and Tottenham, the relatively safer confines of Saint Petersburg would be an ideal place to rebuild his reputation. But despite winning the league title in 2016, his reputation has still far from recovered. Despite winning the Russian Premier League, the football has been some of the most boring in Europe over the past 12 months. Sitting deep, playing to a slow tempo and getting men behind the ball in a league where they are arguably the strongest team – certainly the wealthiest – is unacceptable for most fans. Ex players have also been highly critical of the Portuguese schemer. Boris Chukhlov, who won the title with Zenit in 1984, claims Villas-Boas is not good enough to manage a top European club: “Zenit play boring football. A team full of star names is going out onto the pitch, however, the tactics are too cautious. The side is showing anti-football, which basically boils down to giving the ball as quickly as possible to Hulk or Danny. Being knocked out of the group stage in the Champions League and losing to Sevilla in the quarter-finals of the Europa League represented a mediocre return for a club looking to establish themselves as one of the top ten in Europe. The fans grew increasingly frustrated as the season progressed with negative tactics deployed against all the other big players in the league. A fortunate 1-0 win over CSKA Moscow doesn’t tell the story of Zenit parking the bus for the majority of the 90 minutes. Fans of the club are notoriously demanding, but with the likes of Witsel, Hulk, Rondon and Danny last season, it’s not unreasonable to expect the side to play attractive, attacking football. Is it self-preservation for AVB? Is his primary motivation that of restoring a battered reputation? Perhaps. The negativity of Zenit’s play suggests so. In a recent poll run by Russian media outlet Sport Express, Zenit fans were asked to name their favourite foreign coach in the club’s history. Despite winning the title by a significant margin, AVB only accrued 5 pe cent of the vote. And so, with the new Champions League campaign on the horizon, Villas-Boas will be looking to take the club into the latter stages of the competition. With the “anti football” tactics he uses, there’s probably every chance he will – if Zenit are given a favourable draw. Results are, of course, king, as AVB learnt during his time with Porto, Chelsea and Tottenham. But, as he will no doubt also learn, performances must catch up and align if a manager is to be given time. 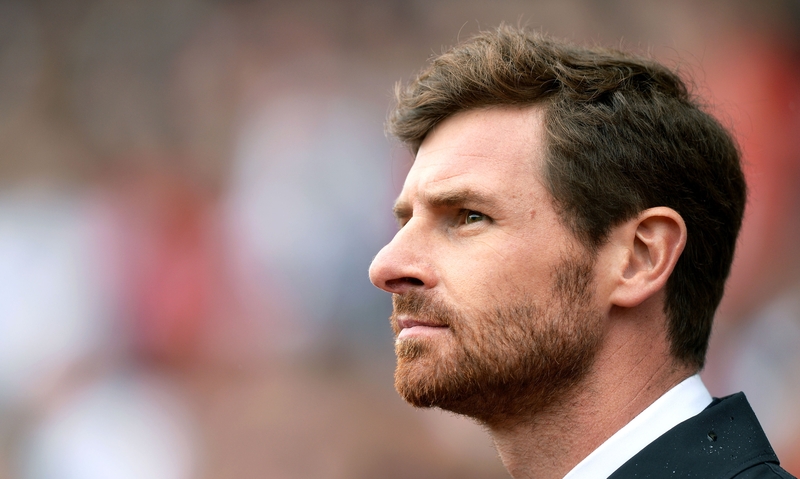 In a year, we’ll probably know what path André Villas-Boas’s career will take. Will the long con finally be exposed? Or will the man who has always pleaded for time finally step out of the looming Mourinho shadow and prove the doubters like me wrong?